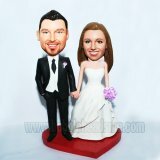 W-378 make your own custom bobblehead.This Custom Wedding Bobbleheads Doll shows that the groom and bride are sitting on the stone by the sea. The anniversary of your wedding or first dating is a romantic day to recall the sweet memory. 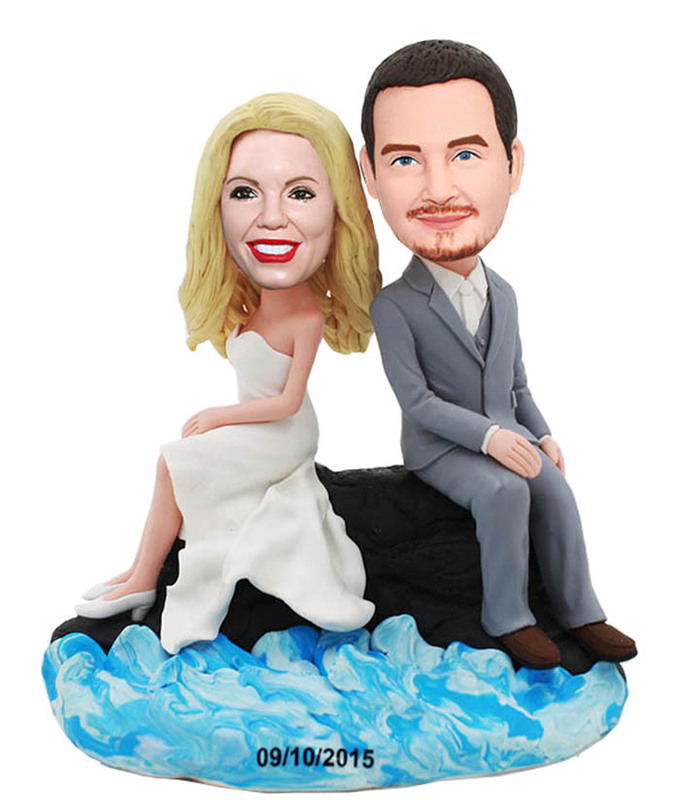 This would be the best cake topper to crown your dream cake, it will become a big hit in your wedding ceremony or reception. Just the perfect touch to my wedding cake! The seller was very responsive and helpful. 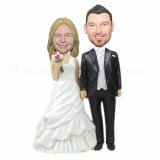 My bobble heads looked just like me and my fiancé'. Very happy with this purchase!